Spent a week with prime views! Perfect stay in a fabulous location!! Orsay offers a unique museum experience for those who want to see paintings and sculptures in an unusual kind of setting. This is because the Musée d'Orsay is actually a former train station that was renovated and reopened as a museum in 1986. The Gare d'Orsay train station was in operation from 1900 until 1939, after which time the station's old-style platforms could no longer accommodate the new styles of trains. During World War II, the disused station became a place to house packages and soldiers, and during the 1950s and 1960s, a debate waged on regarding the fate of the ornate structure. 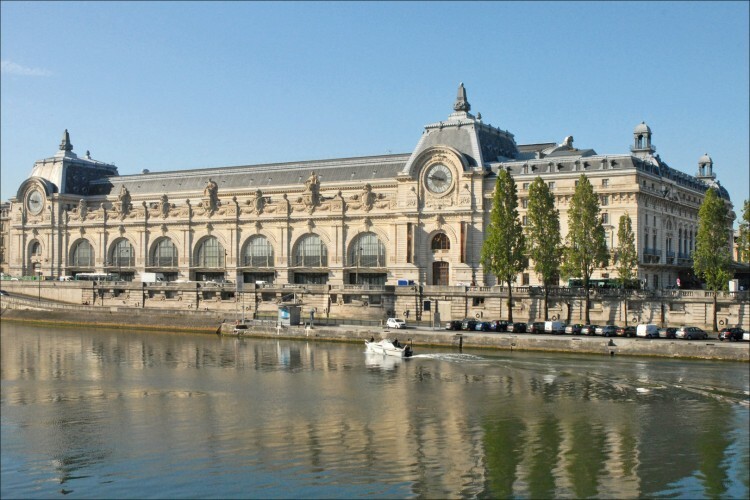 In the 1960s, the building was called for the demolition of the Gare d'Orsay, but it was spared at the last minute. Instead of destroying the masterfully designed station, the French state made the decision in 1977 to turn the building into a museum. It was not until almost ten years later that the renovation works were completed and the Musée d'Orsay was opened. Located on the banks of the Seine in the 7th district, the Musée d'Orsay provides visitors with the occasion to see one of the most picturesque areas in the City of Light. Within the museum walls, the Musée d'Orsay displays permanent collections dedicated to the decorative arts of the XIXth and early XXth centuries, impressionist and post-impressionist paintings, and a wide variety of sculptures originating from 19th- and 20th-century movements — including neoclassicism, romanticism, realism, symbolism, primitivism and animalism.